There are a few things that we never question, even though they may cause us some hassle, and it stands uncontested that we never question the trusty umbrella. 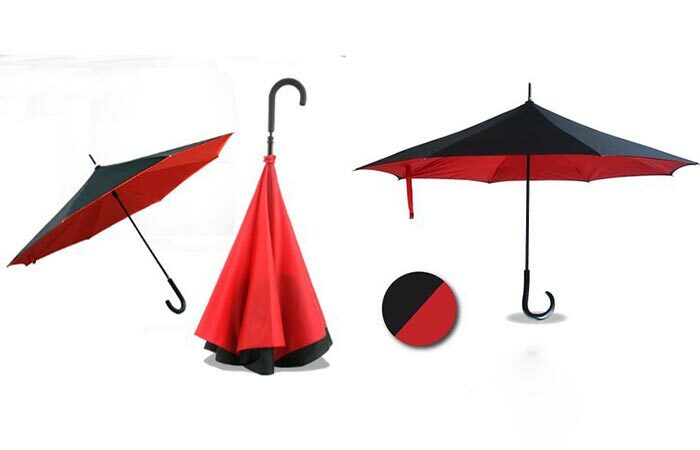 However, there is a new and better way brought to us by Nippon Concept and that is the Anbrella, an inside out umbrella! 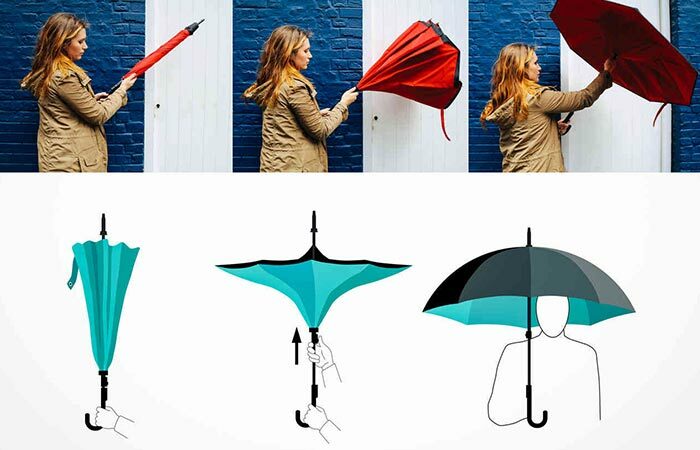 The Anbrella is truly a revolutionary and innovative way to use the umbrella because it opens from the inside out! We all know how stressful it can be when you’re in a storm, a wind gust picks up and it feels like your umbrella is about to crack itself backwards; no longer is that a problem since the Anbrella closes in that way and a simple push of a button reopens it. By opening up and out, the Anbrella eliminates a myriad of issues that are apparent with old umbrellas such as breaking from wind, or not being able to close it in a confined space such as a car door gap. By designing the Anbrella in this manner, a variety of problems were solved. For instance, it’s always dry to handle since the wet side is contained within when it is closed, it can be opened and closed in confined spaces (such as your car door), as well as having the ability of being opened up in a crowd, since opening up and over, the Anbrella almost completely eliminates the possibility of poking someone that’s in your proximity in the eye. The Anbrella features a double spoke system as well as a premium dual layer canopy that has a hydrophobic coating that allows water to simply bead off. To ensure that the Anbrella stays reliable, even in strong winds, the entire Anbrella’s skeleton is double spoked which drastically increases its strength and with the addition of a premium double canopy that is breathable but coated in a hydrophobic coating, the water just beads off and eliminates the possibility of mold corrosion.